To Dog With Love: #WarmBellies Twitter Party with P.L.A.Y. and Petfinder tonight! #WarmBellies Twitter Party with P.L.A.Y. and Petfinder tonight! Tonight's the night to join the fun with P.L.A.Y. pet beds and Petfinder on Twitter! To kick off National Pet Month, P.L.A.Y is partnering with the Petfinder Foundation to celebrate its Warm Bellies Initiative to help keep homeless pets warm and cozy. Join us at the Twitter party for tips and tricks from industry experts and awesome prizes from P.L.A.Y., Life+Dog magazine, Pet Hub and the Petfinder Foundation! WHY: To celebrate all pets and give away some fab tips and prizes too! WHO: Experts @Andrea_Arden, @DaraFoster and Steven Spitz. 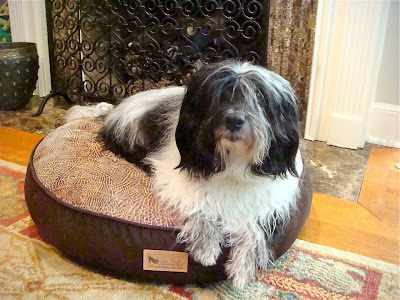 AND @CosmoHavanese will help give out some amazing prizes! Be sure to follow the hosts and sponsors too: @PetPlaySF, @Petfinder_fnd, @PetHub and@LifeandDog. Join me tonight on Twitter at #WarmBellies! Hope you can come! We'll have a blast! See you at #WarmBellies, Cosmo! Wheeee! See you there tonight! Wow, I hope I can join this event, Good luck Guys! As someone who is known for Loving All Pets, I've learned that there are certain things you should know to provide the best care for your pet. Knowing the care and feeding of pets varies by the type of pet you have or may want. There are many locations that offer pet products, supplies and training.